- It's not just a love story - says the director Vitaly Vorobyov. - Our heroes have no prototypes, they're generalized characters. When I worked on the film, I found a story of a girl. At the time of the accident she was 20 years old, her husband - 21. He worked as a fireman. And his team arrived first at the place of the explosion. All the guys took a dose of radiation, they were sent to Moscow. The girl went after her husband. At that time it was hard to get permission to visit relatives in the hospital, but she made it. Her husband died in her arms, and she endlessly repeated: "I love you". I was shocked by this confession. This film is a story about love that is able to resist death. 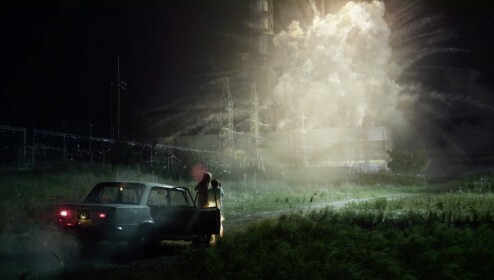 Relations between Alya and Pavel unfold in the days of the accident at the plant. And to make it true, we have attracted the witnesses of those events as well as talked to the engineer of the Chernobyl station. A pilot who in the first hours after the explosion flew around station and reported the situation advised us on helicopter scenes. According to archival photos and video special effects artists designed a nuclear power plant, the city of Pripyat, recreated the fatal explosion of the fourth block. Helicopter flights scenes, except for the cockpit shots - were also designed by VFX artists. Incidentally, the film by Vitaly Vorobyov won in the category "VFX in a TV episode" at FICCI BAF Awards. - In the script there is an episode where Alka and Pasha come to the empty hairdresser. And Alka notices a photo of a girl with a hairstyle which she really likes. She decides to make a similar one. We thought it would be wrong to use the photo of an unknown girl, or a girl with a classic hairstyle. We wanted the girl in the photo to be a significant figure of that time, and her hairstyle to match the fashion of that time. Creative team thought of the cult singer of 80s-90s – C.C. Catch, whose image defined the fashion of those years. It turned out that there C.C. 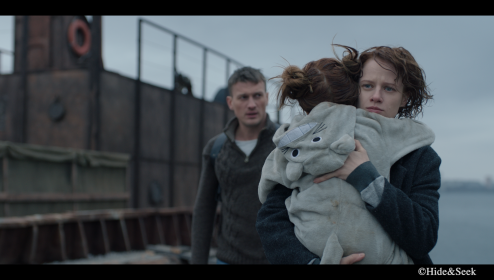 Catch has an official website, through which we have made a request, describing the plot of the film and the scene where the photo will be used. It was a real success! A few days later we signed a contract with the singer and now we have her official permission to use her photo.